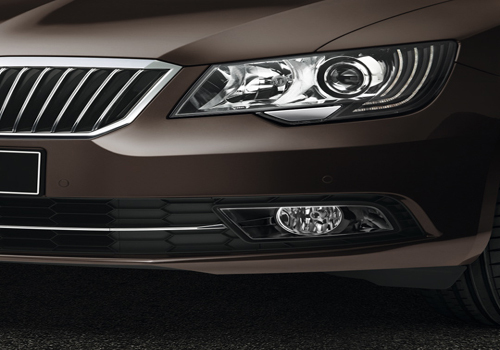 Skoda Auto has silently bid good bye to the Skoda Superb V6 4x4 variant in India. As per sources, the demand for the variant was very stumpy and therefore, Skoda India decided to discontinue the model. At present, Skoda Superb is being offered in both diesel as well as petrol engine options. The petrol variant has 1.8 litre of TSI engine while the diesel variant sports 2.0 litre of TDI engine. Both the engines are impressive and offer great power and fuel economy. Currently, Indian car market is being dominated by the diesel cars and the major reason behind this is the sky rocketing price of petrol. The demand for diesel cars is much higher in the D-segment of the country’s car market. Seeing this situation, even VW gave a back seat to the new Volkswagen Passat petrol variant. The Skoda Superb V6 4x4 came with a 6 cylinder 24 valve DOHC 3597cc of petrol engine that churned out maximum power of 260 PS at the rate of 6000 rpm with 350 Nm of maximum torque at the rate of 2500 rpm. The engine was coupled with six speed automatic transmission. However, performance wise, Skoda Superb V6 4x4 was top-notch, but the mileage figures were as discouraging as 6 km per liter. This all wheel drive featured 17 inches of alloy wheels and was loaded with numerous features. When the car was terminated, it cost around a whopping Rs. 28.06 lakh. At this juncture, where petrol prices are towering, Indian auto market needs more and more introduction of low displacement powered motors with maximum mileage, for instance upcoming Renault Duster that has frugal 1.5L diesel and 1.6L petrol engine under its hood. These power trains churn nearly 13 kmpl with petrol-run engine, while 20.46 kmpl is delivered via its diesel motor. Skoda Superb having shining looking. 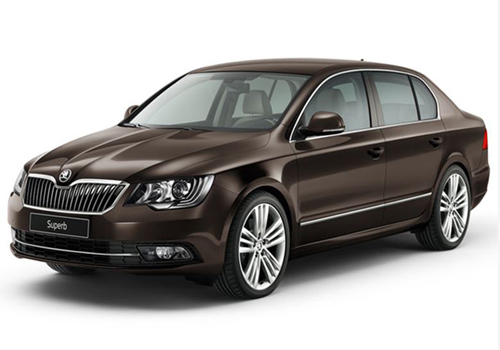 Skoda Superb is good looking and comfortable.